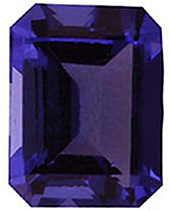 Imitation Tanzanite Emerald Cut Stones Imitation Tanzanite Gemstones Display a Deep Violet Blue Color. Ever since Tanzanite gemstones gained popularity in the early 20th century, gemstone enthusiasts and jewelry connoisseurs have fallen in love with the watery bluish purple color of Tanzanite gemstones. Natural Tanzanite gemstones are mined in only one place on earth: the foothills of the Merelani Mountains in Tanzania. When you consider the time intensive process of mining, plus the rarity of genuine Tanzanites in terms of location, it stands to reason that the price reflects their value. That�s where imitation Tanzanites come in. For those who want the Tanzanite look without the Tanzanite price, Imitation Tanzanite gemstones are a great alternative to naturally mined Tanzanites and they are easy on the wallet. With these stunning loose Tanzanite gemstones in a variety of calibrated gemstone sizes in either Oval Cut or Emerald Cut, you can create a gorgeous piece of custom gemstone jewelry. No one needs to know that the gemstone is non-genuine! As always, AfricaGems offers FREE shipping and a generous 30 day return policy. 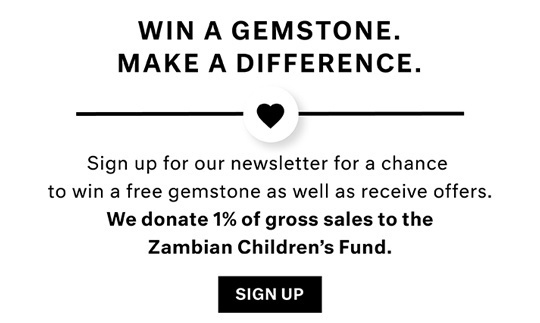 How Much Do You Know About Tanzanite Gems?